Explore More Magento Instagram Feed Examples. About the Instagram Feed Widget for Magento 2. Social network influence has become incredibly big nowadays and has spread all over, including sales. Being one of the most popular social networking services ever, Instagram is what you need to have on your store to take the relationship with your customers to a new level. If you are using Magento 2 for your Ecommerce site, and you want to add new products just by taking a photo of them and uploading those photos to Instagram, this extension fits you perfectly. This Extension provides the possibility to display an Instagram image feed on Category Pages, Homepages, Product Pages or other CMS pages. With our Instagram Feed Widget for Magento 2, you can easily integrate this service into your store to get closer to your customers. This widget comes with an extended list of options compared to other widgets: you can select the background color of widget container in order to fit your page from the Magento admin. You can also select the number of pictures you want to display per row and the maximum number of displayed pictures. Pictures can be sorted and ordered by a lot of criteria like most recent, most liked, most commented and so on. Picture resolution is available in 3 formats: Thumbnail, Low resolution and Standard Resolution. Pictures can be displayed by user. The multitude of options will allow you to customise the widget and its content to fit your business needs. 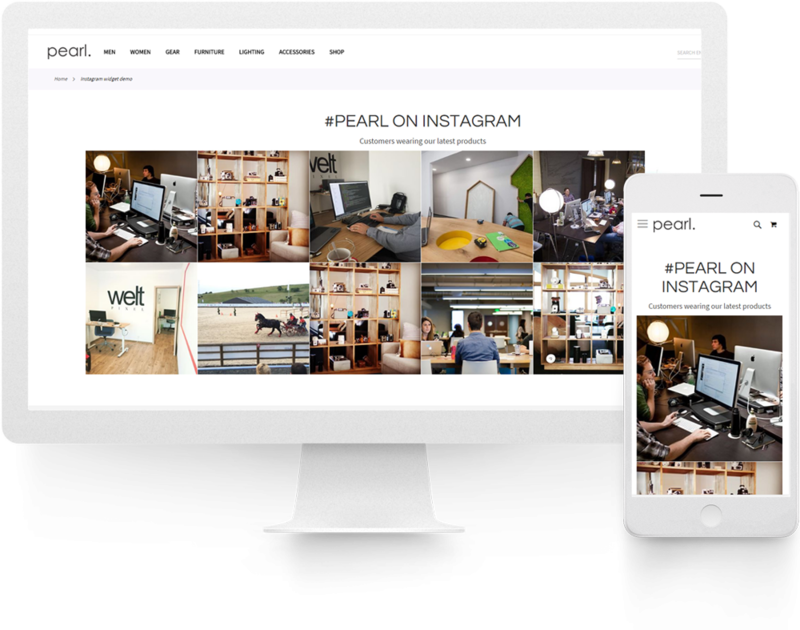 Display Instagram feed - on your web page, display the Instagram feed according to user account. Select number of images - possibility to select the maximum number of the images you want to add. Add title - option to add a Title. Add description - option to add a Description. Images per row - possibility to change the images per Row from 2 - 6. Set order - option of sorting the images in a set order. Image size - you can change the resolution of the Instagram images (thumbnail/low resolution/standard resolution). Before installing the Magento 2 Instagram Feed Widget on your store, please check the extension compatibility. 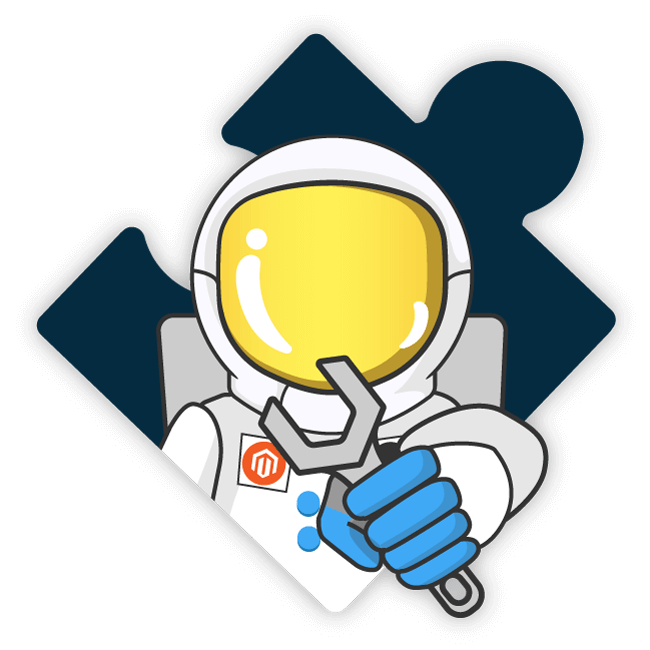 This extension is currently compatible with the following Magento versions 2.0.X. - 2.3.1. It is recommended to install the extension first on a testing server before you install it on a live (production) server. Step 1. Remove extension code under app/code/WeltPixel/InstagramWidget before adding the new extension files. The extension may be refactored and old unused files may cause random issues so it's best to only keep the latest version of the files. How to add instagram feed to your Magento Store? To be able to use Instagram Widget extension first you need to set your Instagram username and authorize the widget to use your account. The only thing you’ll need to get going is a valid client id from Instagram’s API. You can easily register for one on Instagram’s website. Go to Instagram Developer. Login to your account or create one. Then click on Manage Clients, and finally on Register a New Client. Fill out the Application Name, Description, Website(which should be your website). Fill our http://localhost in the field Valid redirect URIs and press enter to confirm that field. Note! The Instagram Developer page has issues loading the Google Captcha Script. Refer to this Stack Overflow article for a workaround. In Security tab DO NOT CHECK Disable implicit OAuth or Enforce signed requests. Now you should see a Success message as seen in the image below. From this page you need the CLIENT ID code. Add the client id you generated to the url replacing [CLIENT_ID_HERE] Hit enter, and you will connect to Instagram’s servers. Instagram will ask you whether you want to grant the client you registered in Step 2 access to your account. Once your client has been granted access to your account, Instagram will redirect your browser to your localhost and your newly generated access token will be appended to the url after localhost/#access_token=Treat your Instagram access token like you would your password. Do not share your access token with anyone. This is the last page you will see after Authorizing access. Now copy code you see after localhost/#access_token=”yourcode” . You will use this code on step 7 and when configuring the Instagram widget connection data. Your user ID is the number before the first period from the access token received at Step 6 (user ID is 1127918776 in this example). After receiving Instagram Client Id, Access Token and User ID, go to Content > Pages or Content > Blocks. From there the steps are the same for Pages or for Blocks. Edit the page or block content. Click Insert Widget button, select WeltPixel Instagram Widget and configure Widget Options. The Magento 2 Instagram Feed Widget is a simple way to add Instagram photos to your site. Setting up the widget is quite easy. Instagram Access Token - A valid oAuth token. Can be used in the place of a Client Id. Title - Insert a title for the widget. Description - Insert a short description. Container Background Color - Select the color that you want to use as a background for the widget. Open Images in New Tab - Choose whether or not to open the image in a new tab when clicked on. Images Per Row - Select from 2-6 images that you want to have on an single row. Images Should Have Padding - Choose whether or not to insert padding between the images. Optimize Image Layout - This option will take your Instagram pictures that have random ratios and find the best match to showcase them in your web page while keeping the same picture ratio and not adding any white spaces. Limit - Set the maximum number of images to be added. None(as they come from Instagram). Feed Type - As Instagram has removed the Tag and Location Feed Types, only the User Feed Type is currently available. User Id - Id found in step 7. Deprecated Tag and Location types removed. CSS adjustments for centered title. System log broken reference error fixes. Added optimized display layout for instagram pictures of various sizes, including image padding. Added 'open in new tab' Instagram image option. You're reviewing:Magento 2 Instagram Feed Widget.